Welcome to the premier San Rafael Cadillac repair shop – R & I Automotive. Cadillacs have been with us for over a hundred years – since 1902. Every time we work on a Cadillac, we are cognizant of the century of automotive history it represents. Our San Rafael Cadillac repair shop is fully equipped and staffed with ASE certified mechanics – we will take good care of your vehicle. 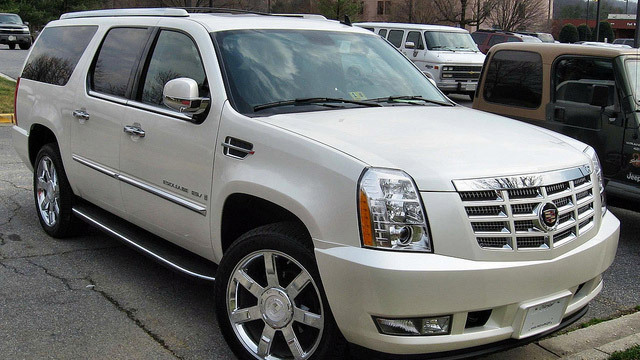 We work with all Cadillac models – no just coupes and sedans, but also Cadillac SUVs. SUVs offer a lot more horsepower while still maintaining the luxury you expect from a Cadillac. At R & I Automotive, we provide Cadillac owners with superior service, including local shuttle, so you can drop off your vehicle and go about your business. We strive to make your Cadillac service and maintenance worry free. In addition to manufacturer scheduled maintenance, we offer diagnostics for problems your vehicle may experience, and both minor and major repairs – from brake pad replacement, to ac recharge, shocks and struts, transmission flush, electrical problem diagnostics, transmission problems, engine repair, and of course, we can diagnose the “check engine” light. Naturally, our highly trained Cadillac technicians are also ready to provide regular maintenance – like oil service or brake fluid flush. Worry-free operation of your car is what we strive for – and regular maintenance is the key. Changing oil and oil filter on regular basis protects the engine. It also gives us opportunity to inspect other systems on your vehicle, and spot impending problems – before they lead to breakdowns or costly repairs. So next time your Cadillac is due for service, or if you suspect something is wrong with your vehicle – visit R & I Automotive. To schedule an appointment, you can go online, or simply give us a call.